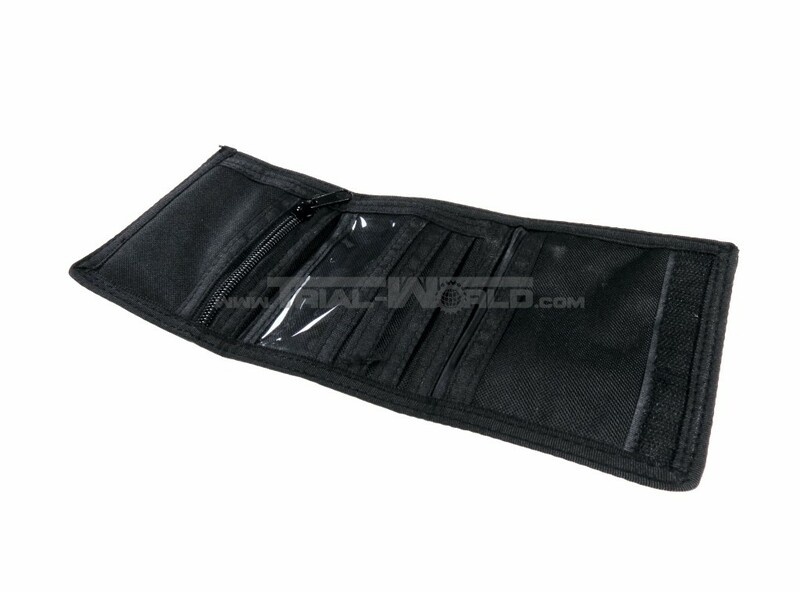 This is a extremly robust wallet which is made of Nylon by Commando Industries. 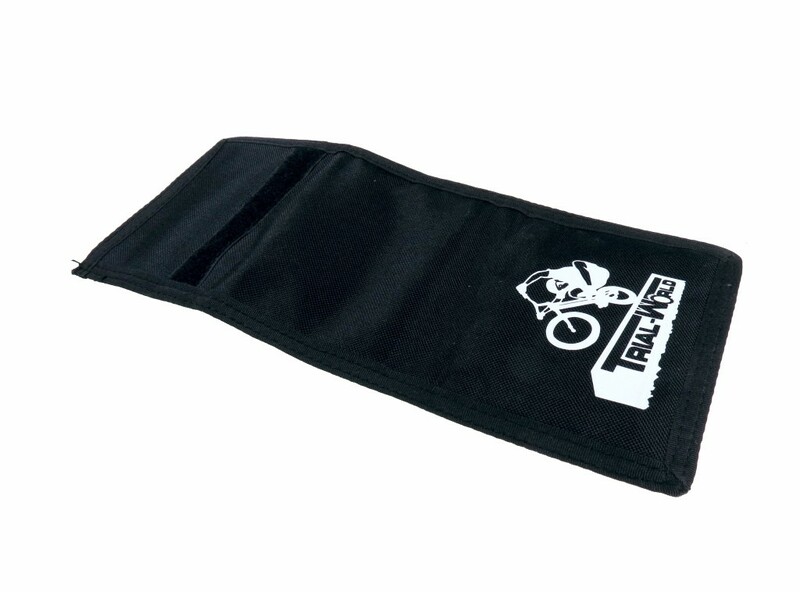 Inside there is a big bill pocket, a coin pocket with zipper and various pockets for passport and cards. 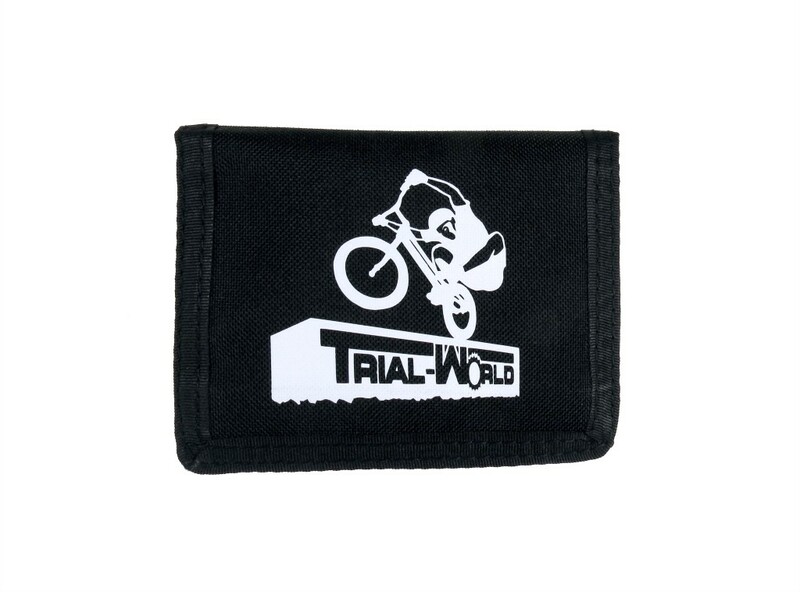 On the front is the Trial-World „Sidehoper“ printing. 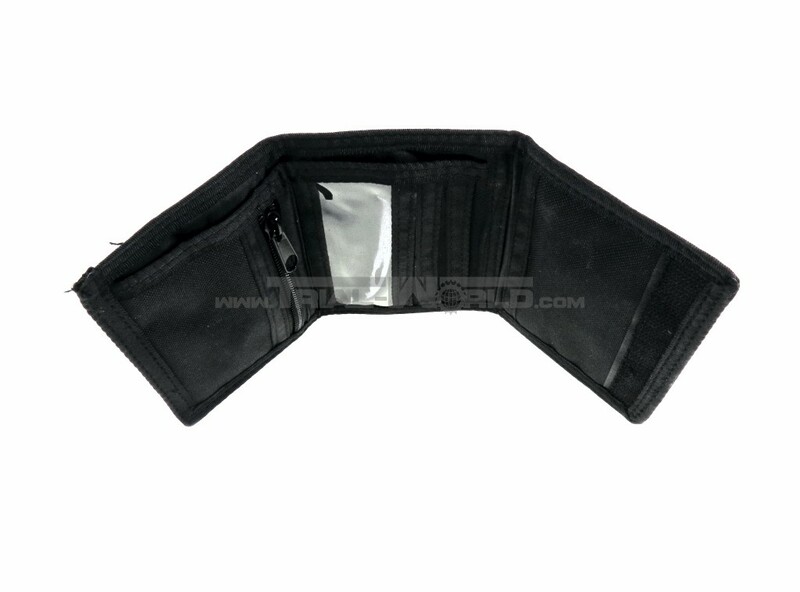 The wallet is closed by a velco fastener. 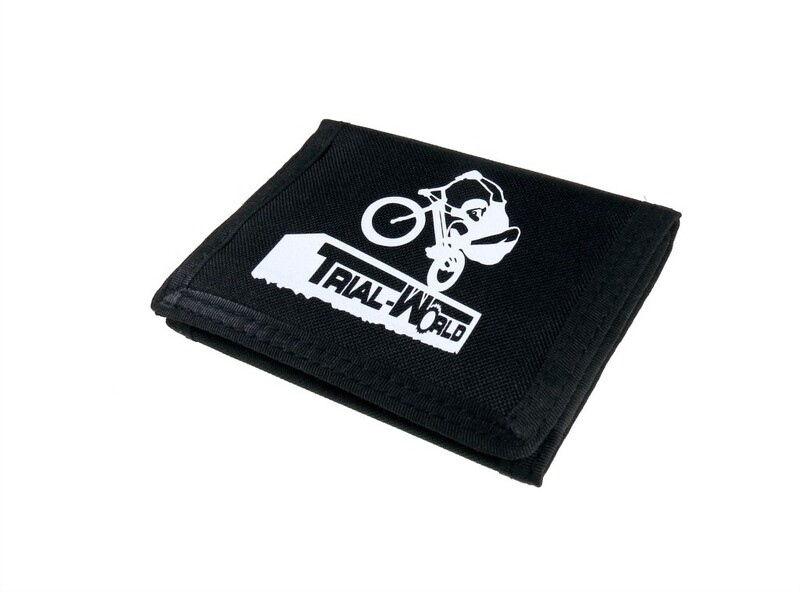 The ideal gift for every trialsrider.